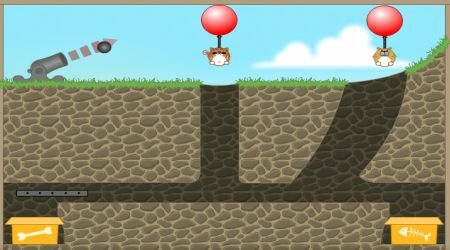 Adjust the power of your shot by moving the mouse further or closer to the cannon. You can also adjust the angle of your shot by moving the mouse. Each pet should be put in its appropriate box, pop their balloons to make them drop. 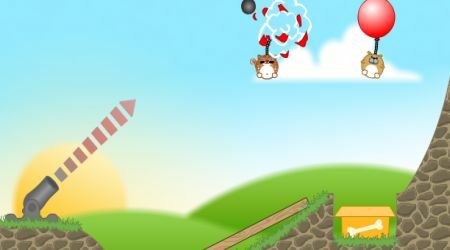 You can also move some obstacles by shooting with your cannon.